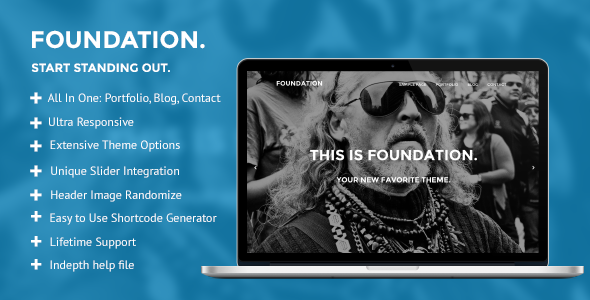 Foundation is a beautiful multipurpose WordPress theme for standout creatives. Built with you in mind, Foundation provides a quick install, tons of features, and gorgeous display of your work. Item Reviewed: Foundation Multipurpose WordPress Theme 9 out of 10 based on 10 ratings. 9 user reviews.